A delightful addition to bath or foot bath. Melt away the stresses with this combo. 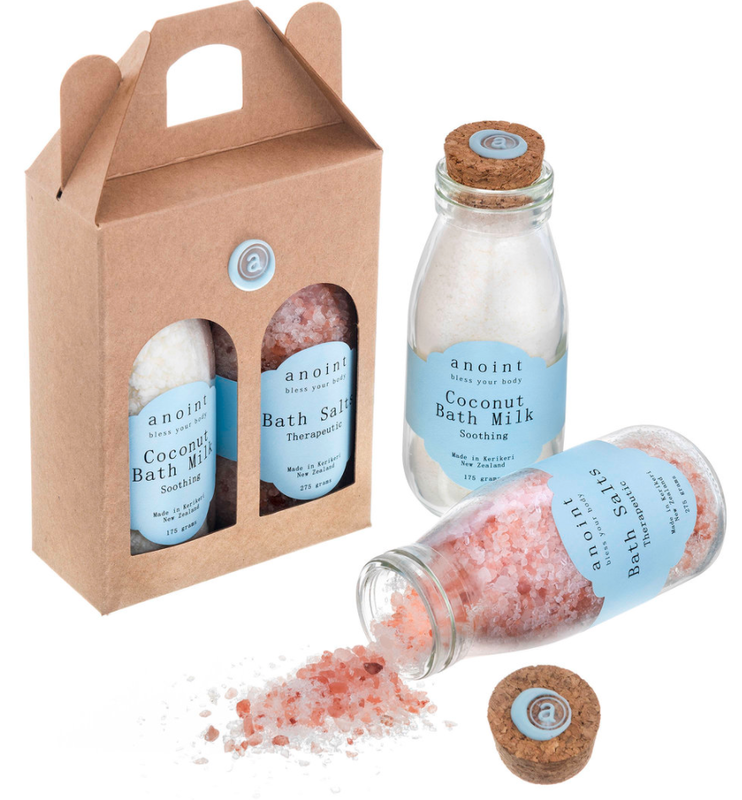 Essential oils and natural himalayan salts and coconut milk are heavenly!